An early Sunday morning car accident in neighboring Howard County claimed the life of Wickes resident. 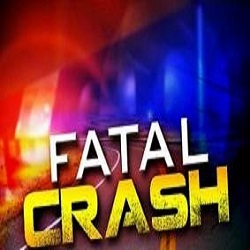 According to the Arkansas State Police Report, the accident occurred at 4:43 a.m. Sunday on State Highway 84 north of Umpire, when a 2019 Chevrolet Traverse was traveling west and ran off the right side of the road, then corrected to the left side crossing both lanes of traffic, then overturned several times. Howard County Coroner John Grey pronounced Rachel Rada Mae Norman, a passenger in the car, deceased at the scene at 6:10 a.m. The driver was identified as 21 year old Chance Austen Manasco of Cove. Manasco was transported by ambulance to Mena Regional Health Systems in Mena. There were also three minors in the car and they were transported to hospitals. Trooper Mason Glasgow investigated the accident. This was the 35th fatality in Arkansas this year.